A sweet, feminine themed nautical party perfect for birthdays and/or showers. 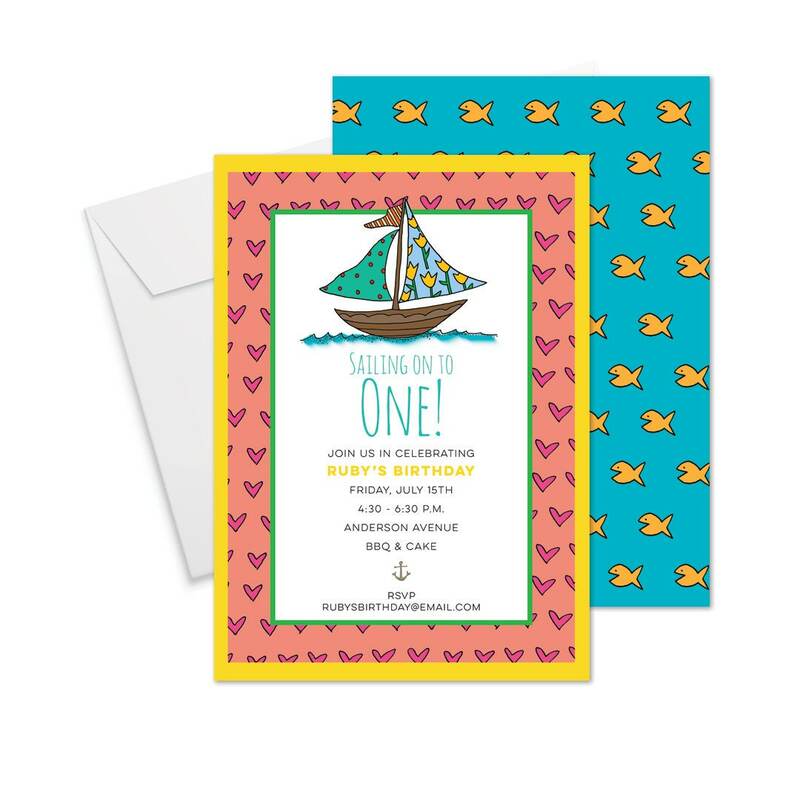 This invitation is a great option for first birthday celebrations, an instant keepsake. Sold in sets of 10 invitations. Size 5"x7" invitation printed on bright white paper. 1. Choose your order quantity and place your order. c. Any other design adjustments, we can customize! 3. Mellen will email you back with a proof.